This stylish fan oven employs a gorgeous LED Display, Stainless Steel fascia and Smoked Glass Door. The AKZ618IX has 16 Functions so you can tackle any recipe with great results and you can build the AKZ618IX at eye-level into a cabinet or under your kitchen counter. You get Whirlpool's 6th Sense technology in this Oven, giving you 30 pre-set recipes, and your oven will automatically adjust cooking, temperature and time settings, while continually monitoring your dishes, to ensure perfect results. 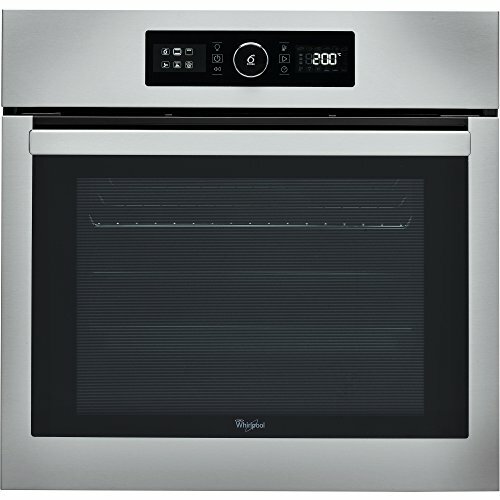 Ready2Cook technology means you don't need to preheat thanks to this Oven's powerful convection system.